Rival bidder Devcore Canderel DLS (DCDLS) is taking part in mediation talks aimed at salvaging RendezVous LeBreton Group's faltering plan to redevelop LeBreton Flats, CBC News has learned. RendezVous, a partnership between Ottawa Senators owner Eugene Melnyk and Trinity Development's John Ruddy, is attempting to repair a serious — and very public — rift involving reciprocal lawsuits worth hundreds of millions of dollars. In December, the National Capital Commission essentially pulled the plug on the project, which includes a new NHL arena and more than 4,000 residential units, to be built on the empty land facing the Canadian War Museum. The NCC gave the parties 30 days' notice to resolve their issues, a deadline that would have fallen on Friday. In a last-ditch attempt to save the deal, the RendezVous partners announced on Jan. 4 that they were entering into mediation, tapping former Ontario chief justice Warren Winkler to oversee the discussions. While some observers were skeptical of the effort, Winkler sent a sign that talks were promising when he asked the NCC to extend the termination notice until Feb. 28, to which the NCC board agreed on Monday evening. Sources with knowledge of the negotiations say both RendezVous partners invited DCDLS to join the mediation. The request for proposals for the deal, as laid out by the NCC back in 2015, allows RendezVous to bring in new partners as long as both sides agree. When NCC CEO Mark Kristmanson announced at the November board meeting that the RendezVous partners could not get along, he made a point of telling reporters that the group has "a fair amount of "flexibility" on what it could do to save the plan. "They can regroup, they can re-form, they can bring in new partners," said Kristmanson at the time. "They have many options available to them, but they have to mutually agree on those options to bring them forward. 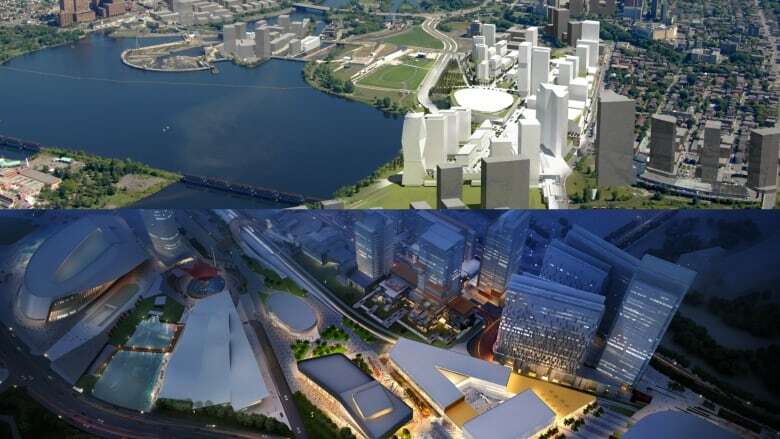 "When the RendezVous partnership looked to be falling apart, DCDLS said it was still prepared to step in with its plan, which had come in second in a 2016 competition to redevelop LeBreton. 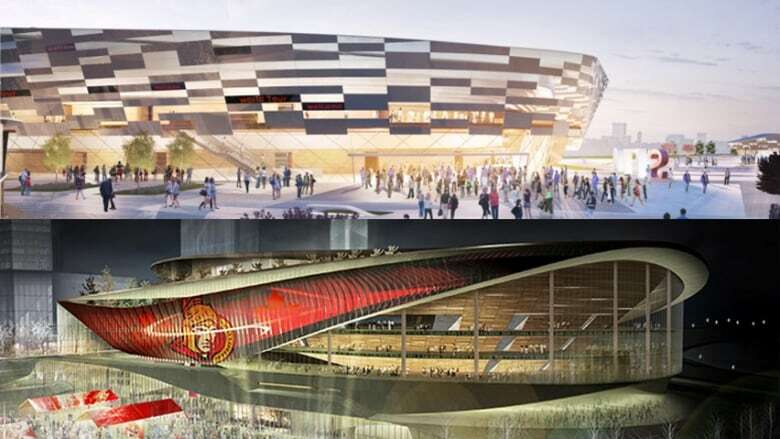 The DCDLS group had proposed to develop LeBreton with less housing than RendezVous, but more public amenities and entertainment venues, such as a new central public library, a skate park, a Ripley's Aquarium and beer museum — even a sports arena, although it had no team to play in it. 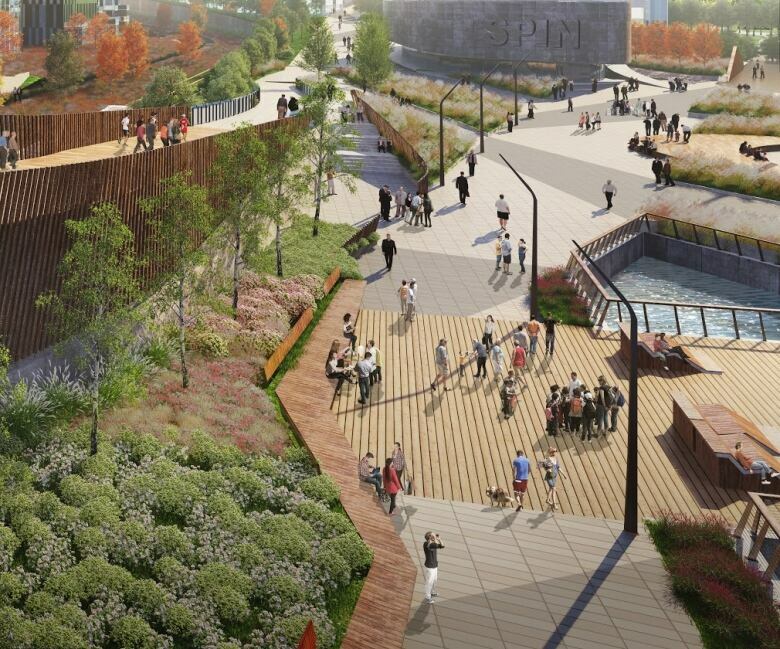 The signature piece of its plan was the Canadensis Walk, a botanical garden that would run the northern border of the LeBreton property nearest the Ottawa River. In public consultations, the idea for the linear park was quite popular — unlike the widely derided idea for a car museum. In a December statement, DCDLS recognized that its proposal "may not have met all of the commission's aspirations" and was willing to "modify or drop those elements with a view to improving the project." "We will meld the best of [RendezVous's] work into the best of ours so as to produce an extraordinary development." But it's unknown exactly what the scope of the talks are or whether the parties will consider redesigning the master plans. The mediation with Winkler began last week, and coming to an agreement by the end of February will be a challenge, sources told CBC. However, Melnyk has said on the record he'd be willing to take on a smaller role in the partnership. Last month, he proposed forgoing all revenue from the commercial development of LeBreton Flats, while Trinity would pay to build the arena. It's likely that, as part of the talks, DCDLS will be tapped to help build the arena. By the time the extended mediation deadline arrives at the end of February, the NCC will have a new CEO. 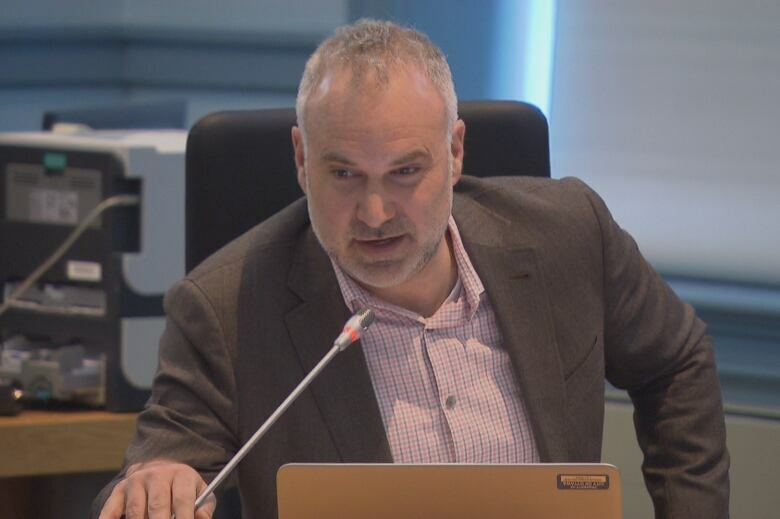 Tobi Nussbaum, who is still technically the councillor for Rideau-Rockcliffe, will take over the helm from Kristmanson on Feb. 4 and lead the next chapter of the LeBreton redevelopment saga.